Home > Special Offers > Sales > We have an offer with your name on it! We have an offer with your name on it! 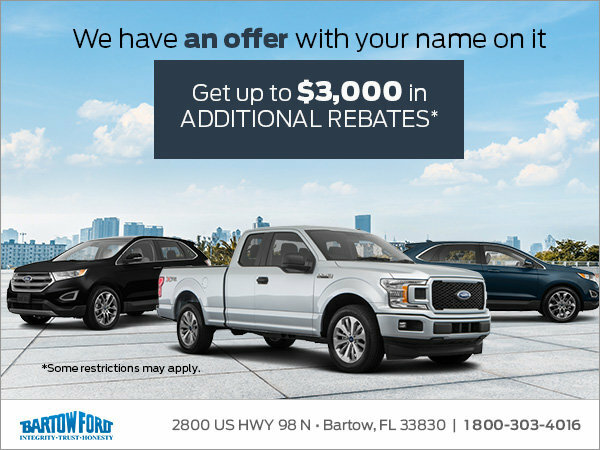 Simply fill out the information below or give us a call at 863-533-0425 and Bartow Ford will check the database and let you know if you have an offer, and how much it's for.